Like a modern-day Leonardo da Vinci, Jansen has applied both artistic and engineering skills to create the giant mechanical creatures that can walk on their own, powered only by the wind. “Strandbeests”—or “beach animals”—consist of skeletons fashioned from lightweight PVC tubes. Wind propels their wing-like sails, which then drives their feet to walk sideways. Created on the Dutch seaside, the strandbeests know to avoid water, walking in the opposite direction as soon as it comes in contact with their feelers. 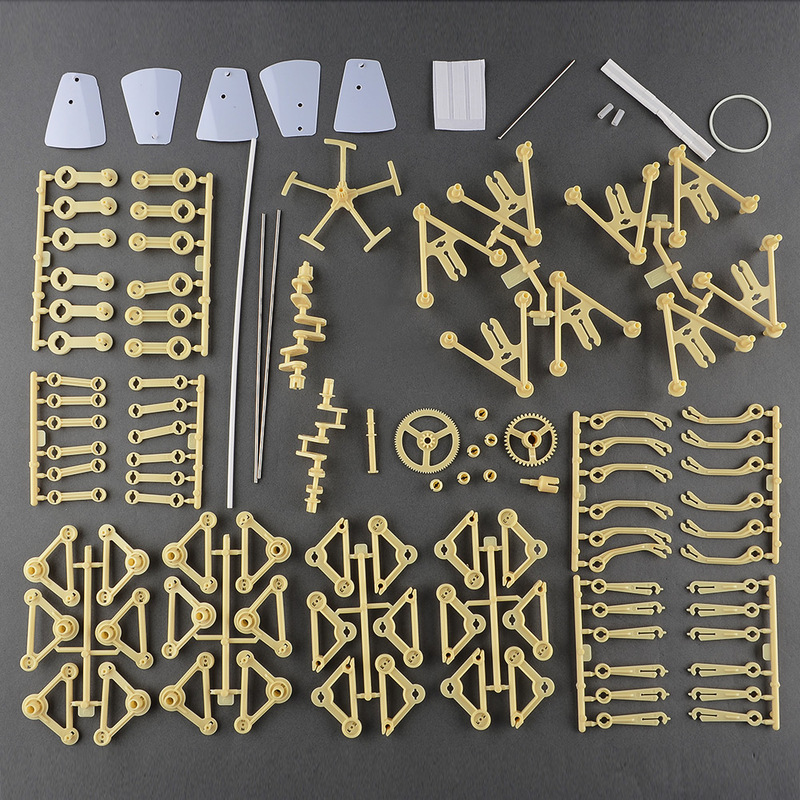 We bring to you a kit which encompasses the creativity and the engineering involved in the StrandBeest into a tabletop kit. These mini versions of his giant contraptions come with detailed instructions. 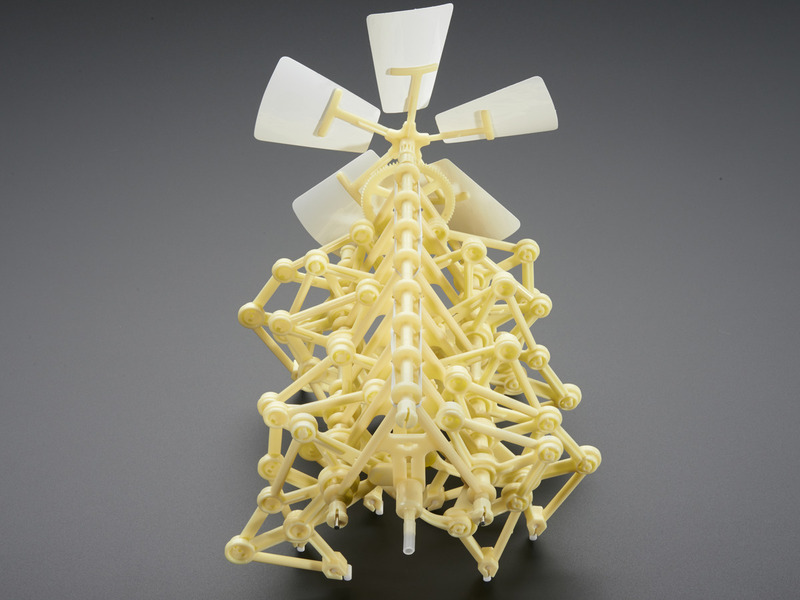 The Strandbeest (strand as in beach because it was made to walk on sand), an 8" x 6-5/8" x 4-1/4", 117-part wind-powered automaton.